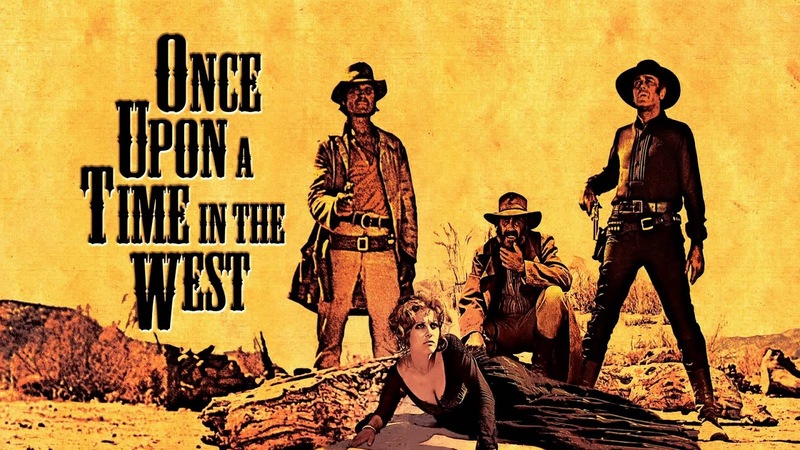 Sergio Leone's classic spaghetti western set to an iconic score by Ennio Morricone. This was one of David Reid's favorite films, and we will be presenting it in his memory. Donations to the Culkin Volunteer Fire Department will be accepted in his honor. 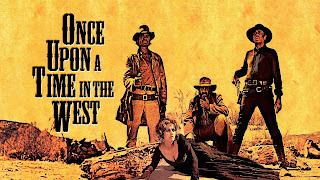 Henry Fonda, Jason Robards, Claudia Cardinale, and Charles Bronson star in a sprawling story filmed in Europe and in Monument Valley, Arizona. The action revolves around the efforts of a railroad baron to acquire a few key pieces of land by whatever means necessary. Henry Fonda rocks as the most despicable villain of his career. Okay, but who is David Reid? He was certainly more than I could ever explain, but David Reid was my friend. He was a few years younger than I, and we went to different schools, so I did not know him when we were young, but I saw him around when we were both in our twenties. He worked in a record store, and we would talk. David loved to visit and discuss things that interested him. He was an enthusiast. If he liked something, he wanted to share it: music, books, and movies. His most notorious example of enthusiastic sharing was when he and 3 cohorts carved "Remember Duane Allman" into the raw earth along Interstate 20 in the early 1970's. The Vicksburg Post later described it this way: "it stood 10 feet above ground level, the letters themselves about 7 feet in height and the entire message more than 100 feet in length." It was a monumental undertaking that was featured in Rolling Stone magazine. You can read more about the carving here. My sharing interactions with David started with a chance encounter about 1980, I mentioned to him I had just gotten one of those newfangled VCRs. His eyes lit up because there was some movie he would really like to see. I said, "well, I can bring the VCR over to your house..."
That night we shared dinner and a movie, and I got to meet the family: Tricia, his wife, and their children, Christopher and Erica. That was the first of dozens, if not hundreds of times I lugged the "machine" over there (even though the video recorders were only slightly smaller than a Volkswagen Beetle at the time). I became part of the family. We would all watch something together, and then the rest of the family would go to bed and David & I would stay up late watching more: old movies, foreign movies, strange movies. Our tastes in films was not always exactly the same, but we showed one another many a title. He would often speak of one movie he really wanted to see again that was not yet out on video: Once Upon a Time in the West. One day we saw it was going to be on satellite, and we watched it together as we recorded it, finger on the pause button to eliminate the commercials. We talked about it at length afterwards. It is a wonderful, maddening, rewarding, annoying film. His desire to share drove him to arrange a screening of Once Upon a Time in the West out at the movie theater at the mall. It had to be after the normal shows were over for the day, which meant it would be after 10:30 when the more than 2 hour film was shown. This was in the days long before the internet, so he promoted it however he could. A handful of friends and other interested parties came out. I helped underwrite the licensing costs. It was my first experience with presenting films in a nonprofit capacity. David got cancer somewhere around 2004. I opened the coffeehouse in 2006, and for the last couple years of his life he was able to use it as a living room to meet up with people after chemo and other treatments. He left us in 2007. We had many fun times together: enjoying music, laughing, eating, watching films, playing poker...We helped each other. We shared things. I know he would be pleased that we would gather in his name to share this movie.